ARGH! I wrote this on the calendar, wrote myself a NOTE about it, and STILL missed this post yesterday. 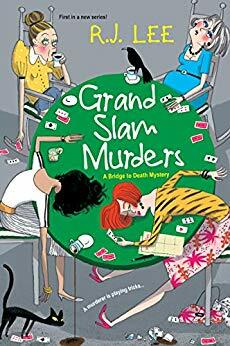 *headdesk* Anyway, I’m posting a very late stop on the Great Escapes Virtual Book Tour for Grand Slam Murders by R.J. Lee. 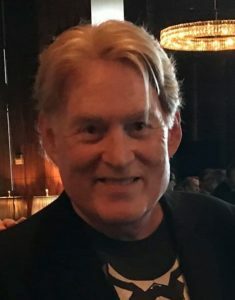 Mr. Lee has provided a guest post for us, so thank you to him. Information about the book will be below the guest post. When the four wealthy widows who comprise the exclusive Rosalie Bridge Club are all poisoned together at a bridge luncheon, everyone in this historic Mississippi River port is in shock. Someone stirred cyanide-laced sugar into their coffees, and the Gin Girls—as they nicknamed themselves because of their love affair with the juniper berry brew—were all DOA at the Rosalie General Hospital. Enter Wendy Winchester, the young, frustrated social columnist for the local paper, who has been trapped doing wedding and sip ‘n see write-ups for three long years. Wendy is particularly traumatized by the murders because she had recently been admitted to the prestigious club to learn the game of bridge, and now her icons are dead. However, she sees in the ladies’ demise an opportunity to obtain justice for the group and possibly earn herself a promotion to full-time, investigative reporter. She approaches her curmudgeonly, sexist editor, Dalton Hemmings, with a proposal to do a series of features on the ladies and their families because of her knowledge of the Rosalie social swirl. Her secret intention is to do enough research and interviewing to solve the crimes herself and move up in the world of journalism. She knows she will have the cooperation of her police chief father, Bax Winchester, and her sometimes boyfriend, police detective, Ross Rierson, as they leak things here and there from their official investigation during her daily encounters with them. There are boatloads of suspects with motive as she begins her journey—at one point with her life on the line; but when the official investigation is stumped, Wendy comes through with her outside-the-box thinking in a complex case where nothing is what it appears to be.